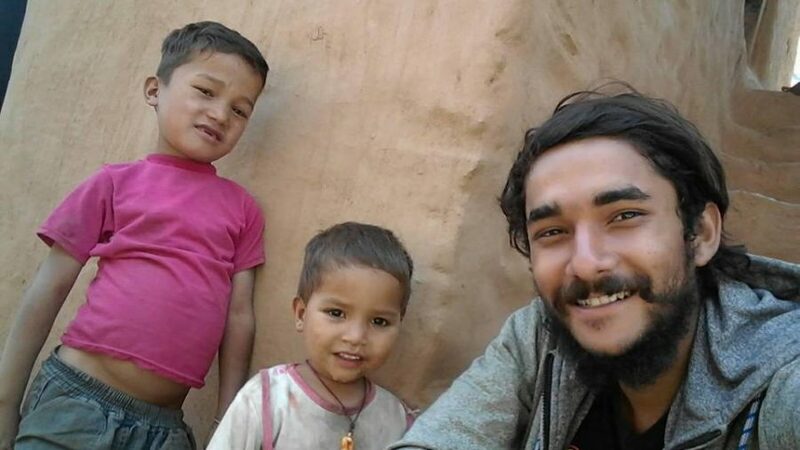 Suman Karki, the soul of the journey! It was mid-day and the sun was in mood. Gravelled roads were making us tired. 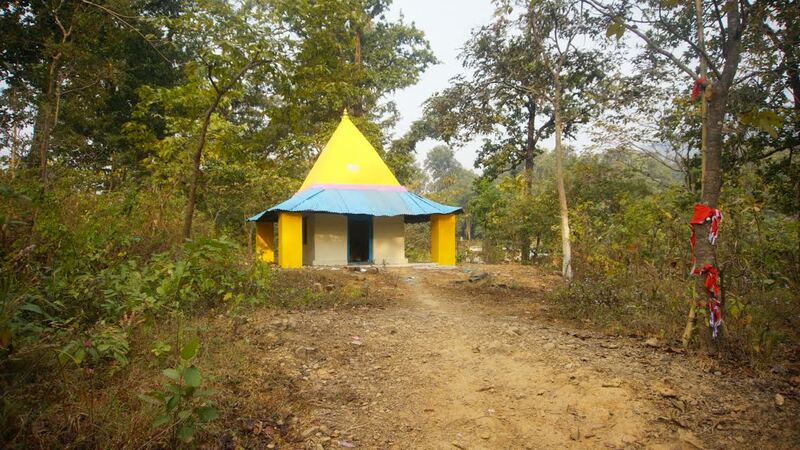 After walking for few hours in between the village beside the road, we entered a forest which was so huge and silent. From there, we started to walk uphill, dark green uphill. 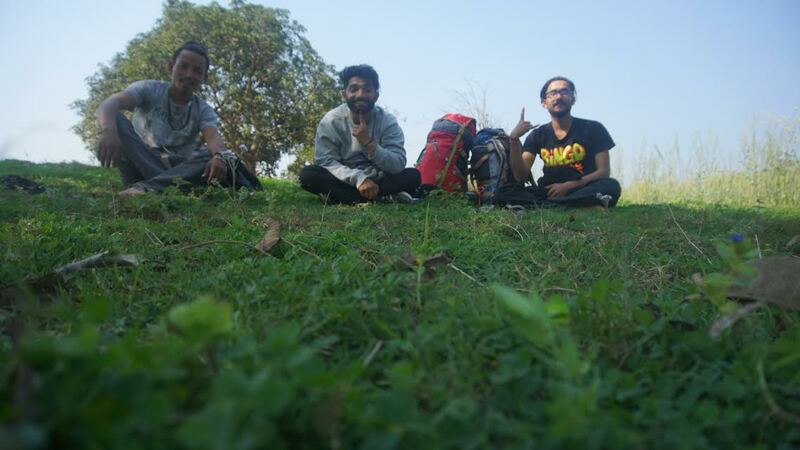 On the way, we met a lady and asked her how long it would take for us to reach Bedkot Taal. Along with the time, she also suggested that we walk in a faster pace, because the sun would set soon. And that, there were leopards and bears in the jungle! It was a scary thought. Many things were playing inside my head like how the day will end or what will be the upcoming days be like. But, killing all the fear we were busy in our own funny conversation. We were already missing our homies a lot. We were taking photos giving their name. A blurry picture somewhere on the way from Daiji to Bedhkot Taal. That continuous walk was hard, but the silence of that jungle took all the pain away. The flow of the vehicles in this road is very low. 3/4 bikes per hours and other vehicles are hard to get after the jungle where one public jeep is available in time system. 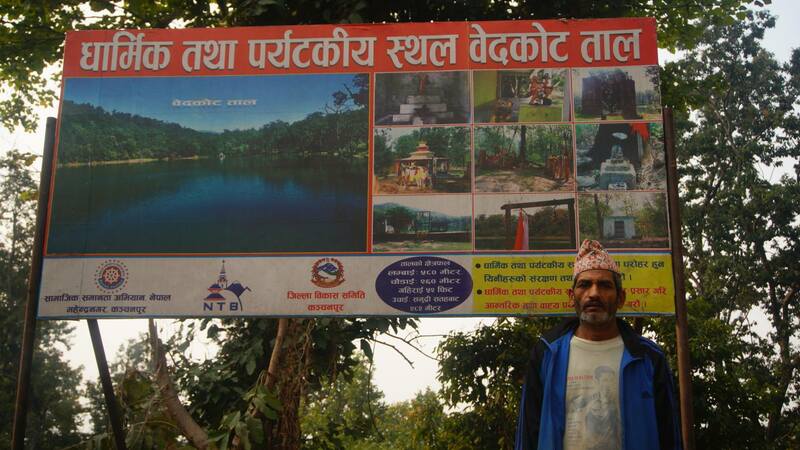 Or you can get bikes on rent to drop you there, before the jungle in a Pipal Chautari. It was nearly 5:30 and starting to get dark. We were tired and hungry. There we saw a man cutting woods and we moved towards him. 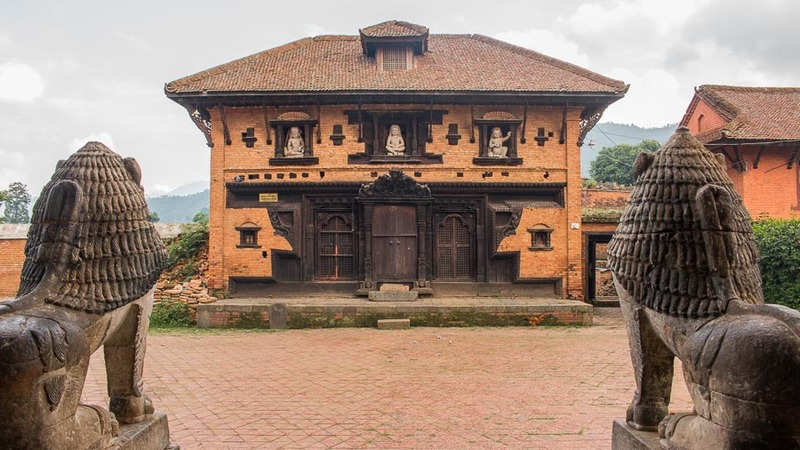 The place was called Bedkot Taal and Baidanath mandir. We moved towards him and greeted “Namaste” . “NAMASTE” he replied. “Can we get a place to sleep for tonight and some food over here?” Without any introduction we asked for help. He looked with his doubtful eyes and said “There is no sleeping bed. If you need food, I can cook. Where are you guys from and where you are heading? You can get some hotels if you walk 1:30 hours more”. “From this road we are heading toward Darchula via Dadeldhura and Baitadi. 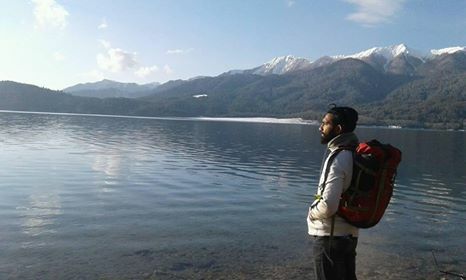 Actually, its our first day Buwa, we are planning a walk to 75 districts of Nepal, to search and explore Nepal, to unite Nepal, to find and share some love and happiness. We are so tired and hungry now, we can’t move forward”. 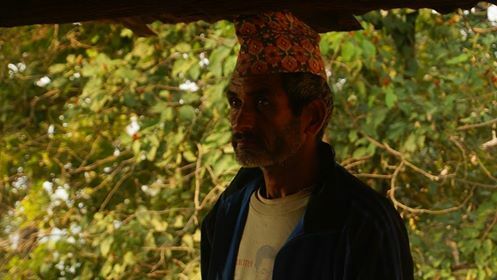 Haridutta Joshi (Buwa), the old retired Police officer who now lives in Baidhanath all alone for it’s conservation. ” I don’t have any extra clothes for sleeping bed, there is a bed on that building” he says . “How it will be possible to travel 75 districts without money? Are you from any organization?” he asked. The peaceful Bedhkot Taal welcoming them. Asking us to wait for a while, he got busy in phone . And we moved towards Bedkot lake to see the ducks playing in lakes. 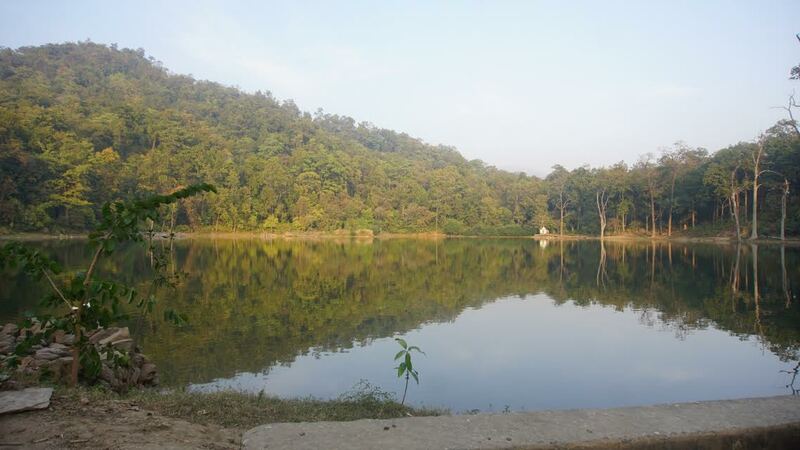 The lake on the lap of hills and middle of the peaceful jungle took away all our worries and pain. It was so majestic and real. 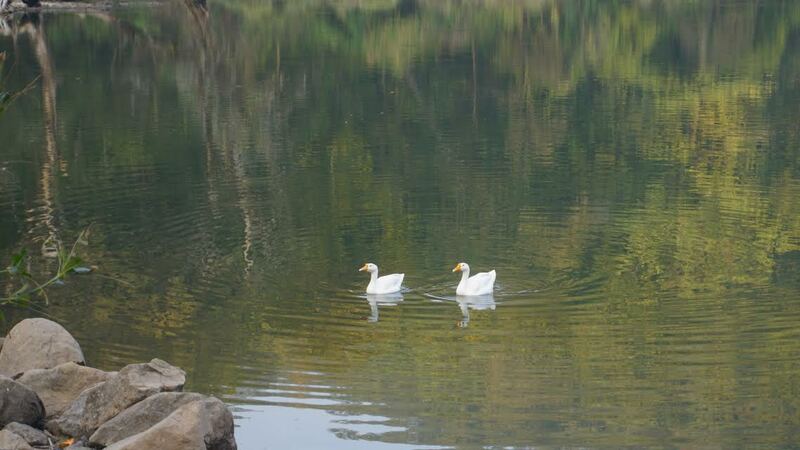 The ducks quietly floating in the Bedhkot lake. After a while, a group of 7/ 8 young boys in their motorbikes showed up. 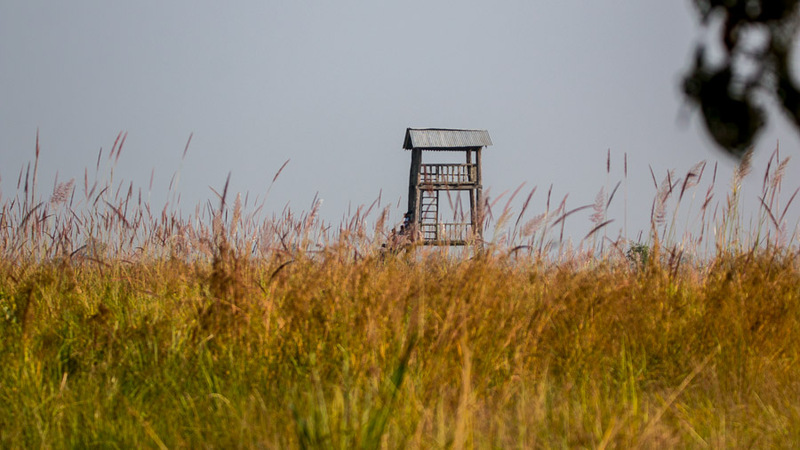 We were busy getting lost in the majestic view without confirming about the stay with Buwa, as the lake was taking our tiredness away. Among the boys, we introduced ourselves to one of them ‘Kamal’ and started sharing the talks about our journey. Luckily, he said he knew the Buwa from that temple who we were talking to earlier. 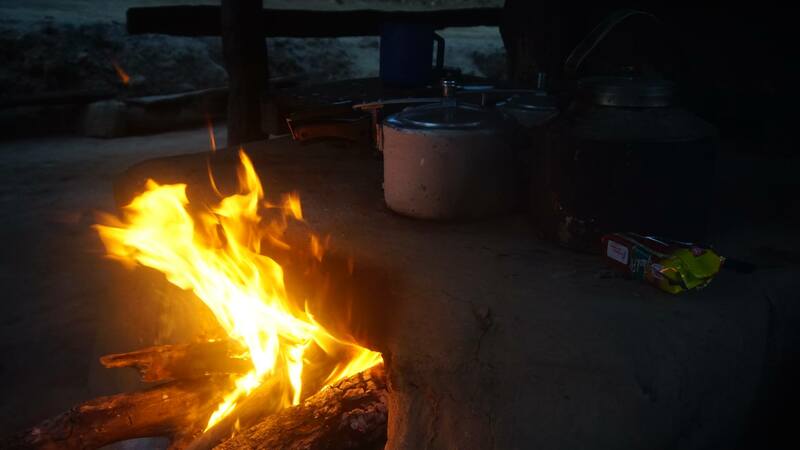 He was very happy hear about our journey and he convinced Buwa to give us shelter for the night. 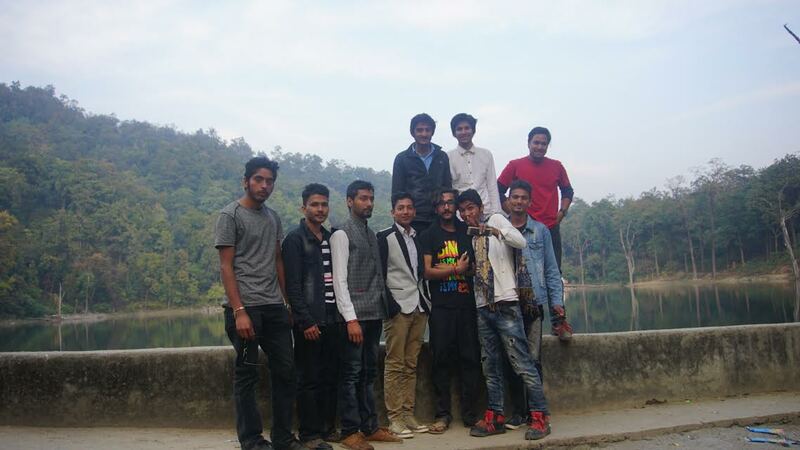 We would like to thank Kamal and his friends for arranging the stay for the night. After exchanging numbers, the boys went home promising us to meet again. 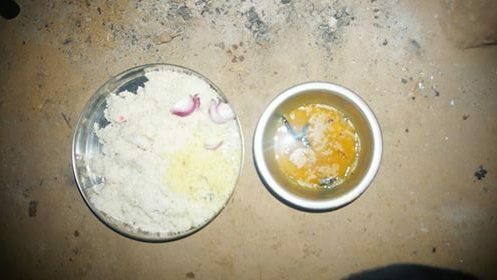 Sometimes later, Baa started preparing dinner and we started talking to him. When we were sharing the idea about our journey and the start of it, he got really surprised. “You boys are really very courageous”, he said in amaze. The fire-side conversation while cooking dinner. 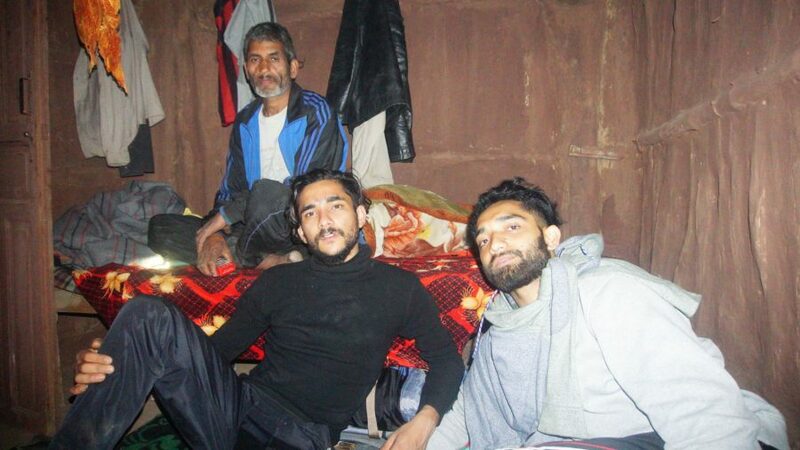 “We will be very happy to eat Dal Bhat, we have not eaten meal since today morning”, we said. The first saviour from Abhay’s journey, Hariduuta Joshi, who believed in them and made them beleive that getting love is possible! Haridutta Joshi (65 years) is a retired police officer who has been living in the Baidhanath Area around Baidhanath temple and Bedkot Tal. The property is basically under Baidhanath Protection Committee and he looks after the area. He says he finds a peace and satisfaction living there all by himself. He also runs a small shop there which helps the travelers to stop by and eat. Additionally, making him fill his pockets to earn a living. “At first, I had doubts in my mind seeing you boys. The current time in itself is such that, it compels people to be skeptical. This is very sacred land. 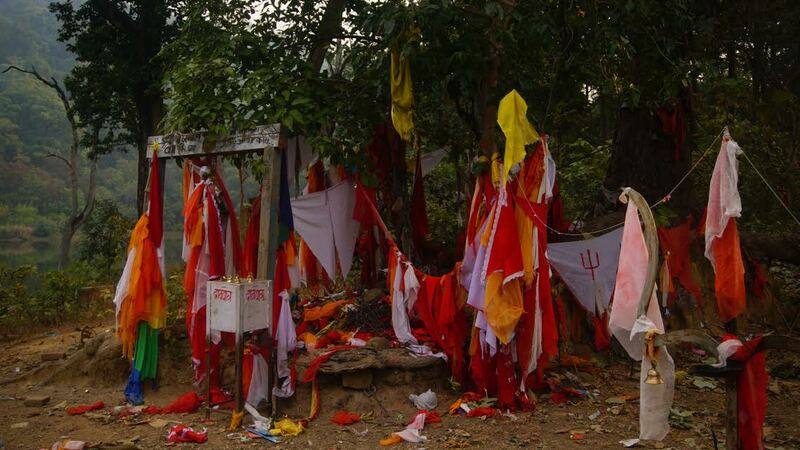 In Treta Yug, Ravan brought a Shivalinga from Achham and established it here. The priests here are Bhandaris, who come during the Melas (Fairs)/ Pujas and return back after it’s end”, he shared. “I’m sorry that I said there is no sleeping place earlier. The bed is on the balcony. You can get bedsheets and blankets and sleep in my room. Now let’s have dinner! This is what this first night’s dinner looked like. Simple yet satisfying! We agreed with a wide smile.